I came across a beautiful beautyberry shrub in Sellwood this morning, and the homeowner even offered me some sprigs to put around the house. 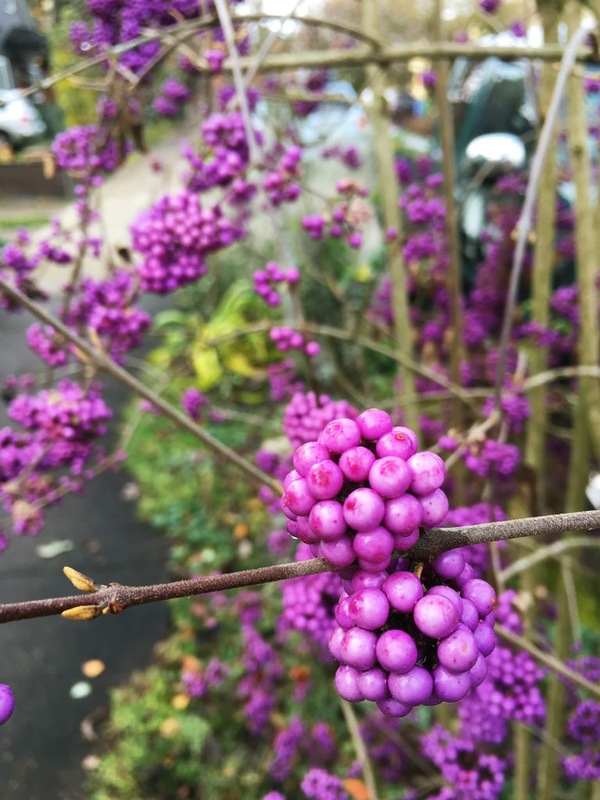 My own beautyberry (Callicarpa) is still recovering from being transplanted just over a year ago, so I only have a few berries on mine this year, and thought this one was an amazing specimen (about 7-years old). 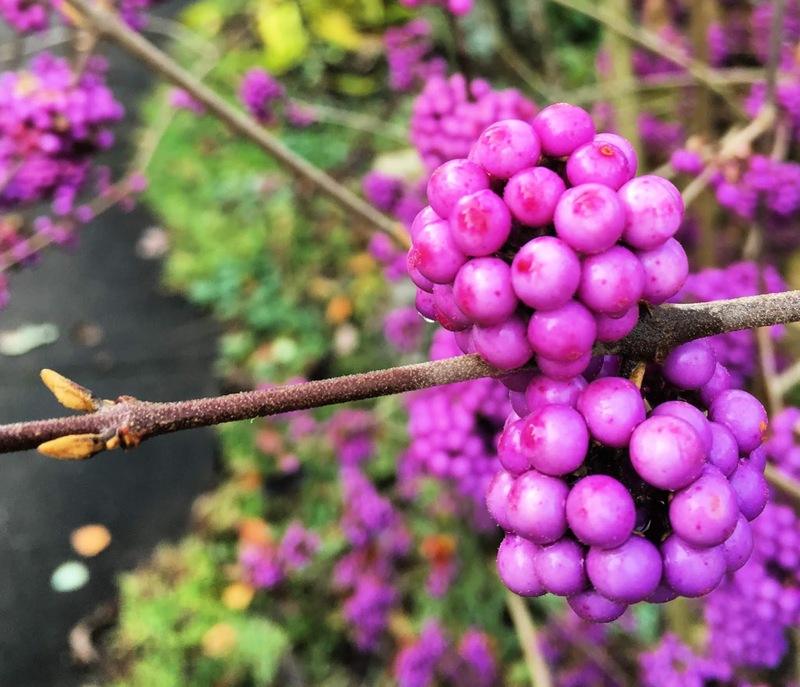 Beautyberry is not a native to the NW or Willamette Valley, but is beautiful nonetheless, so I keep it in my garden to add interest during the winter season. Also, the sprigs keep year-round once they've dried, and add a pop to any windowsill. I'm getting ready to start my three nursing shifts in the morning, but first, I'm going to cook up a couple of Alaskan salmon fillets with rice. Then, it's another movie night with the family. Tonight, we're going to watch a little Adam Sandler in "Billy Madison". Happy late November Thursday, friends. One more day before December!